Real estate law can be confusing, even to real estate professionals – lenders, agents and brokers. If you have a question about real estate law, the best people to consult with are real estate lawyers. Real estate attorneys specialize in real estate law and they can offer sound advice, regardless of your situation. When Do I Need a Real Estate Attorney? Real estate lawyers handle a wide variety of issues concerning real estate. For instance, they can review the paperwork of a loan closing to make sure that everything is in accordance with real estate law. Real estate attorneys can advise you of your rights in a foreclosure action, and can help you with zoning, easements, environmental hazards, and other restrictions that may apply to your real property. Real estate attorneys also deal with issues that arise in construction contracts, title problems, and they even deal with law affecting timeshares, coops and condos. Basically, if you need legal help concerning real property, whether you are a buyer, a seller, an owner, a mortgagor, or a mortgagee, real estate lawyers can help you by interpreting the laws of your state and advising you of your rights. Real estate law may also affect estates. If you are a joint owner of a property and the other owner dies, under real estate law, will the property be yours are will it be subject to the heirs of the other person? If you die, will your property be transferable to your heirs or will it become the sole property of the joint owner? Questions like this are best answered by a real estate attorney. Properly prepared documents can help to avoid problems in the future. If you are a buyer or seller of real estate, you might discover that you have a clouded title. Under real estate law, your property title can be affected by tax or contractor liens, survey disputes and claims of ownership from other people. 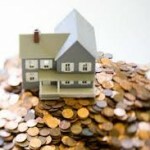 In order to solve such title problems, it is advisable to consult with a real estate attorney. Sometimes when you are considering purchasing a property, you discover a restrictive covenant that might detract from the value of the property. Restrictive covenants can be placed on properties to prevent the owner from using it in a way that might disturb the neighbors or detract from the look of the neighborhood. For instance, restrictive covenants might require the buildings placed on the land to be of a certain size or style, or restrict your right to raise animals on the property. A qualified real estate attorney can determine whether or not this restrictive covenant will apply to you after your purchase of the property, or whether it was a personal agreement that ends with the sale of property to a new buyer. Owner-financed agreements are subject to real estate law, and it is best to have a real estate attorney review the agreement to ensure that it is written to best protect your interests and in compliance with the law. Many people rely on escrow companies to prepare the agreement, but generally, they use a standard agreement which does not necessarily have your interests in mine. It is worth the money to get advice from an experienced real estate lawyer who is working for you to provide you with the protection that you need. There are both federal and state real estate laws. Real estate transactions are also subject to common law in addition to real estate law. Real estate law varies from state to state. Real estate attorneys are licensed in the states in which they practice and they can decide which real estate laws apply to your transaction. Contact LegalHelpLawyers.com today for legal aid with real estate law! GOOD MORNING FRIENDS- AS Our Family Always shows compassion for others, in their times of heartbreak. Most recently within our local community – the loss of great friends in our lives.. – Devastations happenings each and everyday, Everywhere ! .. Our Prayers always trying to go out to others, who are suffering. We don’t like to fuss about our own problems too much. As each and everyday, We can’t have a real place to call “home” again. As our family facing this burden, Eviction crisis/trauma – trying to find another place called HOME – A Crisis that’s been on going since we lost our family home of 50-plus years in 2014 – because of TAXES ! Thanks Cayuga County agencies – for your lack of kindness. Trying to Rebuild – Recover from this has been overwhelming ! Many of you now, locally the extra assistance we need – to rehabilitate Pat Lawler, since that awful neglected 4-month stay – St. Camillus / that ruined his Independent Life ! We can’t even count the tears – when struggles and challenges w face/ hits a “brick wall”.. FACT: PATRICK LAWLER CRIES MORE THAN HE EVER HAS, Now ! ! ! ! . Because of this situation ! ! Our family – it’s not that easy, dealing with the expense to find a home to accommodate Patrick’s needs, including modifications. New York State – the understanding this was one time assistance. 2. The expense should be recoup from Landlord- this burden and all expenses wasted.. in this present home.. to assist with the expenses moving into another housing unit. As we’re facing to become “homeless” again.